A Bathing Ape is bringing its lovable mascot back with a new Baby Milo smartphone stand designed in conjunction with Candies. The two brands have collaborated on various projects in the past, and for Spring 2015, they’ve teamed up once again for a new vinyl accessory that’ll give your dresser, desk or nightstand a little extra style. The Baby Milo stand features the iconic ape in typical relaxed fashion with an integrated cradle built to hold a variety of smartphones. Perfect for those who like their accessories do more than just look good. 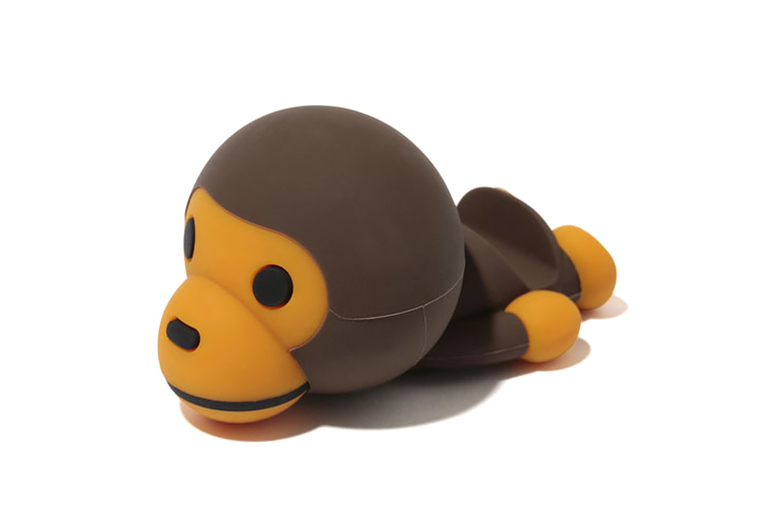 Check out the Baby Milo smartphone stand now at BAPE stores priced at $40 USD.